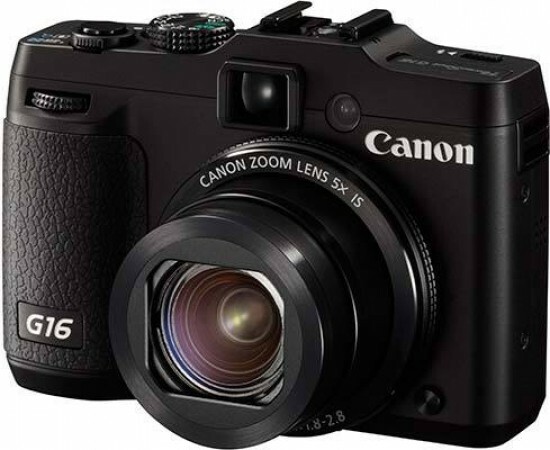 The Canon PowerShot G16 is a rather modest update of last year's G15 camera, principally making things faster and adding wi-fi connectivity, focus peaking and some new shooting modes into the now familiar mix. We like the faster auto-focus and burst shooting speeds and the debut of wi-fi on a G-series camera, but overall there's not too much to tempt G15 owners to upgrade. This new model still lacks an articulating LCD screen, GPS is only available via pairing with a smartphone, the optical viewfinder is beginning to look outdated, you can't control the camera remotely, and the price remains sky-high. Image quality also remains excellent, though, with a perfectly usable ISO range of 80-1600 and fast f/1.8 maximum aperture, albeit only at the 28mm wide-angle lens setting, making the G16 very well-suited to low-light, hand-held photography. It's also possible to capture the blurred backgrounds and sharp subject that most compacts struggle to achieve, while the 5x zoom offers a longer reach than some rivals. Full 1080p video at 60fps with continuous auto-focusing, stereo sound and full use of the zoom is the icing on the imaging cake, although there's still little creative control on offer. The price of the Canon PowerShot G16 is an eye-watering £529.00 / $549.99, which makes it more expensive than the class-leading Sony Cyber-shot RX100, itself bested by the RX100 Mark II, albeit at an even higher price-point. Despite the improvements, we still feel that the RX100/RX100 II with its much larger sensor delivers even better results than the G16, making it our choice in the "pocketable compact camera for enthusiasts" sector of the market. The new Canon PowerShot G16 still remains one of the best premium compacts for enthusiasts, though, and is an excellent camera to boot, so it's still well worth considering alongside its main rivals.